Tae Young Machine Korea, a manufacturer and seller of electronic socks knitting machines and a licensee of a Japanese hosiery machine builder Nagata Seiki, launches its new TY-3000AL sock knitting machine with Nagata’s automatic toe linking device at the upcoming Indo Intertex 2018 exhibition in Jakarta, Indonesia. The Indo Intertex is an international trade fair for the textiles and clothing industry. It showcases the latest in textile processing machines and related equipment, including materials and raw materials. 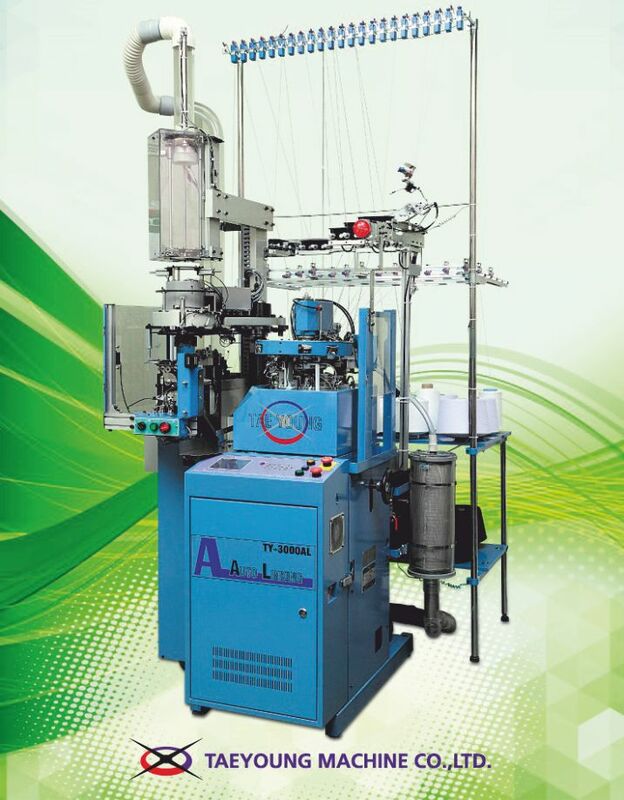 The standard attachments of the new machine include a controller, automatic toe linking device, fabric transfer check detector, electronic elastic yarn feeding device, creel stand, 1F air latch opener, air blow for trimmer, and air pressure sensor.